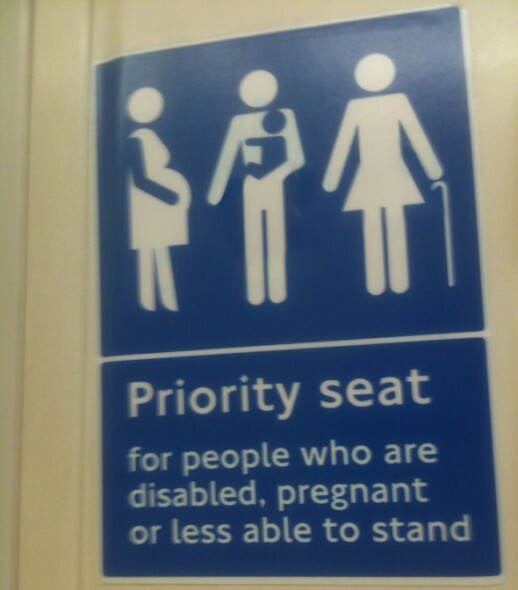 Ever seen this notice on the London Underground? Bet you have. Perhaps it’s time for a bit of a guerrilla feminist campaign in the public space in the UK. All we would need would be 2 triangles of blue sticky back plastic, and 2 white triangles. I look like that most Tuesdays (Daddy-days). It’s the ‘Mother and Toddler’ groups that get my goat, though in practice men with children are pretty welcome anywhere, at least by the organisers if not all the member.